Most of this week involved visiting FOSDEM, the Free and Open Source European Developers Meeting, where we were organising the Open Media track in conjunction with colleagues from the EBU and OpenHeadend. We had an all-hands company meeting in Brussels on the Friday hosted at the lovely Radisson Red Brussels complete with crocodile meat for lunch nearby. 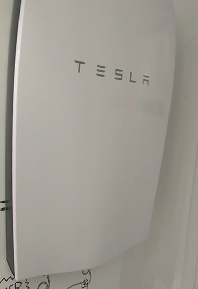 Interestingly, the hotel was solar powered from a Tesla PowerPack. During the week, we spent a long time chasing and bisecting a Blackmagic playback bug on very long-running streams that occurred between two driver versions. We also started the number crunching to produce various reports. 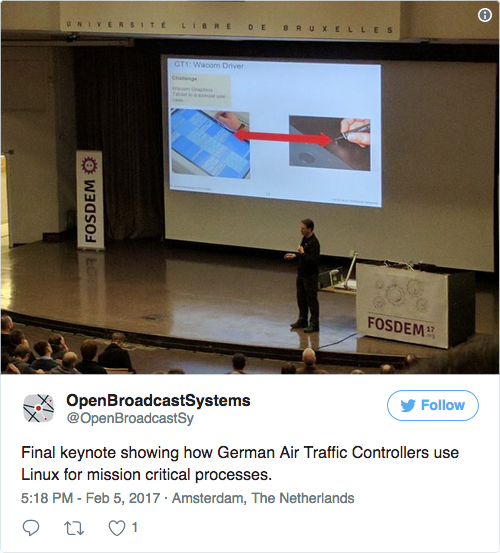 FOSDEM itself had many interesting speakers, but for us the highlight was Gerolf Ziegenhain from the DFS Deutsche Flugsicherung GmbH. This was an incredible insight into how DFS manages Linux and other software that is safety-of-life critical. You would (understandably) think this is a very bureaucratic process but the speaker was able to eloquently explain the mix between the business requirements and the heavy technical knowledge DFS has. For example, they desolder and replace diodes on NVIDIA Graphics cards to improve reliability. Yet at the same time, it takes years of testing to roll out a new software release.